Nutrition is very important for growing children. When it comes to food choices, we always try to buy what is right for our family. How often we find that the food tastes good but in terms of being healthy it does not carry much value, or when facing a dilemma what is the best choice to make, putting aside pretty packaging and emotional shopping. In similar situations nothing can beat the Nutrition Facts which reflect in numbers the information we need to know about the food we buy. Recently we joined Fact Finder’s Mission Event at one of Etobicoke Metro. 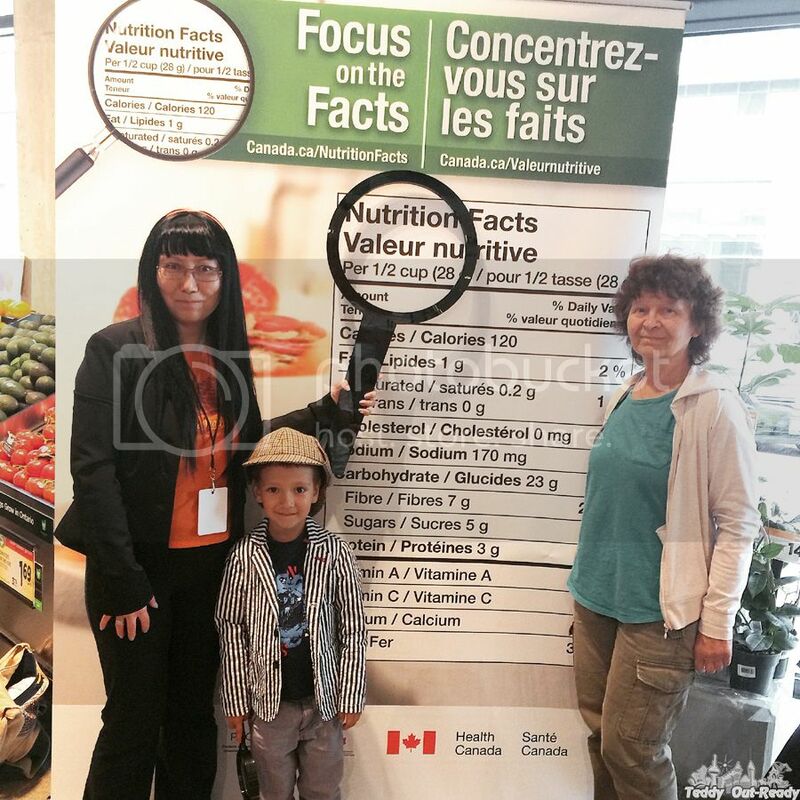 It was a part of the Nutrition Facts Education Campaign, an initiative from the Government of Canada, developed for families to educate them how to use the Nutrition Facts table and make more informed food choices. It may sound boring to check all those numbers on every food product you buy, but it turns out very interesting especially when you do it with kids. 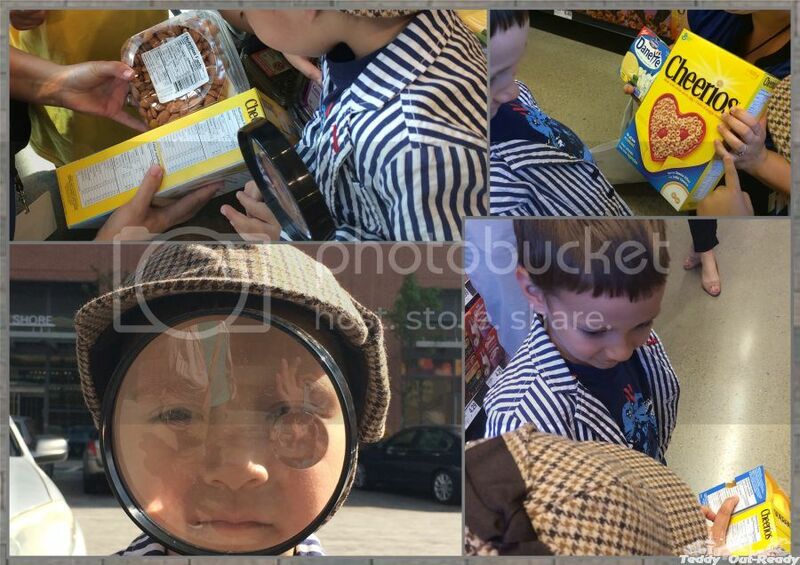 At the beginning of the Event Teddy received Sherlock’s detective hat and a magnifying glass, so we were ready to explore the grocery store with a pragmatic attitude, only pure facts, please. 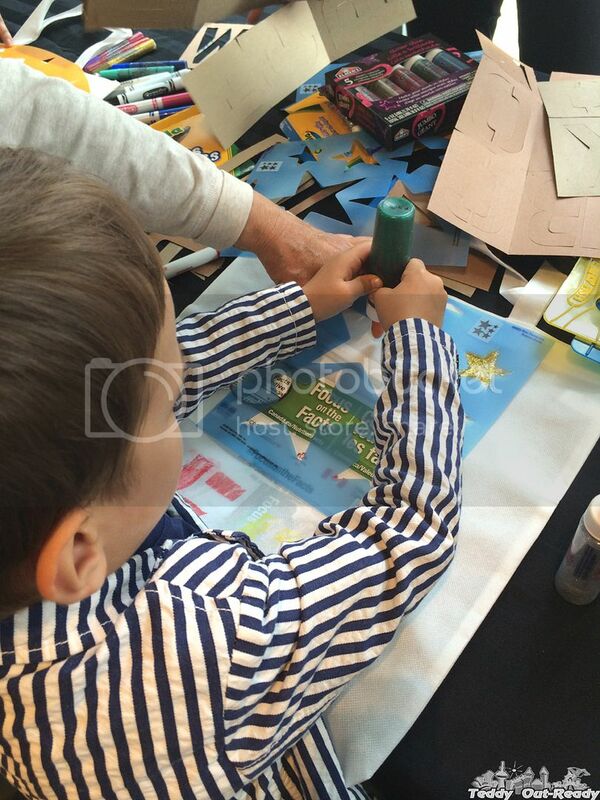 Children had a good time at a coloring station designing their own bags and showing their creations. After shopping bags were ready, we joined the presentation about the Nutrition Facts and Serving Size. 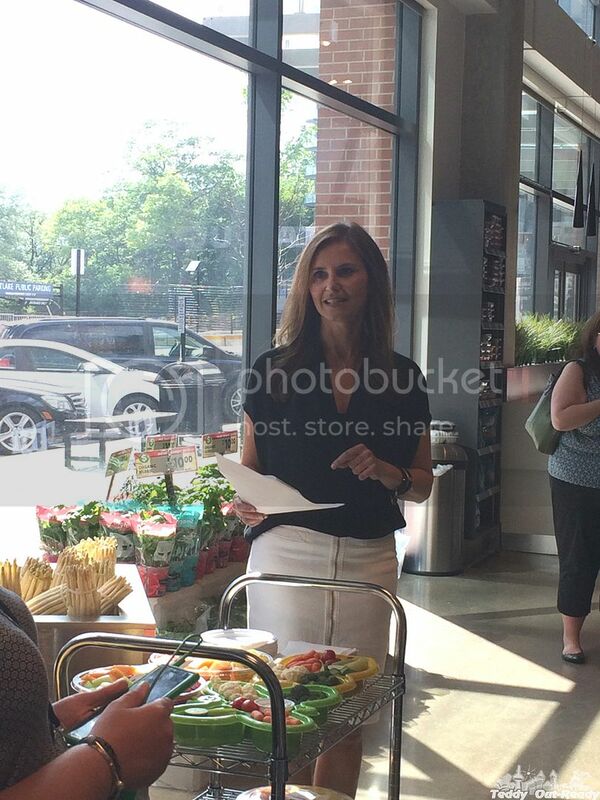 We were excited to meet the event host Kristina Matisic, journalist and co-founder of Anna & Kristina’s Grocery Bag, who shared helpful tips about using the Nutrition Facts table in everyday life. Our mission was about to start, teams were formed and split in different categories. We had to compare food products using the Nutrition Facts table but based on same serving size. 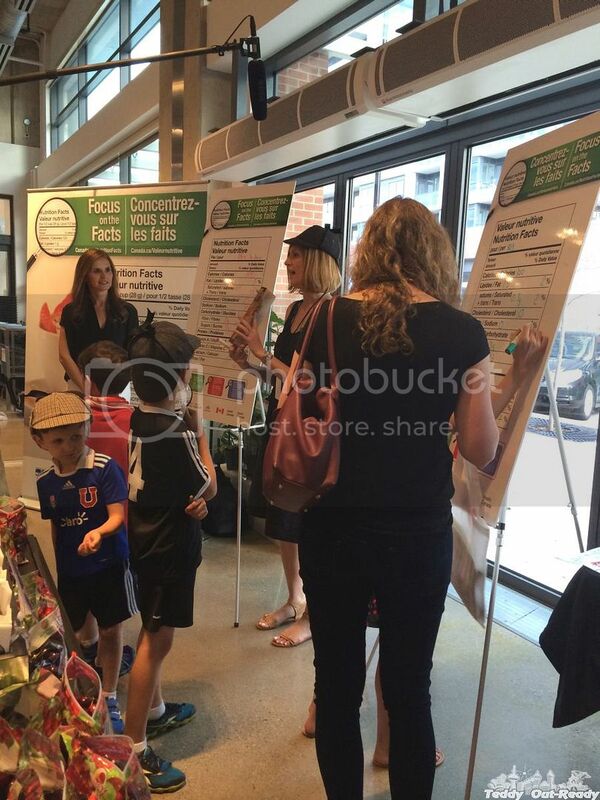 While Teddy learns a lot about healthy food often influencing our food purchases based on his knowledge, Nutrition Facts table was definitely something new to him. He realized that most products have that table and numbers listed there are very important. Use the % Daily Value to see if a Serving Size has a little or a lot of a nutrient. Use 5% Daily Value or less is a little, 8-9% is moderate and 15% or more of Daily Values is a lot! Choose food that has more Nutrients you want ( or you need to take) like iron, Vitamin A, calcium and fibre and less sodium and saturated and trans fats. It is a great idea to compare two different packages in one category and with same serving size. For example, cheese packs, the healthier and better choice is the one having less or moderate amount of trans fats, 8% or less. Another example, when comparing two types of pasta, better choice in fiber between moderate (around 8%) and a lot (about 28%) is the one having 28% of Daily Value. For more information please visit Canada.ca/NutritionFacts and Focusonthefacts.ca. You can also test your knowledge how to make informed food choices in the quiz for a chance to win a $300 grocery gift card. 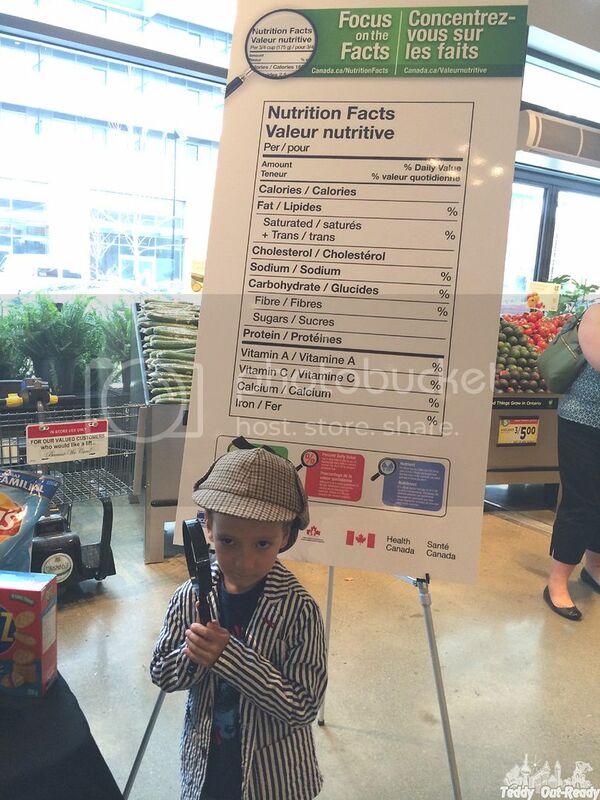 The Nutrition Facts Education Campaign: Focus on the Facts is a partnership between the Retail Council of Canada, Food Consumer Products of Canada, Canadian Federation of Independent Grocers and Health Canada.